Foreign Affairs Minister John Baird's office says the Harper government is working hard to keep the headquarters for the organization that regulates international air transportation in Montreal, despite a bid by Qatar to move it to Doha after 2016. Foreign Affairs Minister John Baird's office says the Harper government is working hard to keep the headquarters for the organization that regulates international air transportation in Montreal, its "natural home." The International Civil Aviation Organization (ICAO), an agency of the United Nations, has been based in Montreal since it was established 1947. Canada is currently in negotiations to keep ICAO in Montreal through 2036. On Thursday afternoon, Baird sought and received unanimous consent for a motion in the House of Commons that said Montreal "should remain the rightful host" and endorsed all efforts by governments to keep it there. But on April 11, Qatar submitted an offer to move the headquarters to Doha when ICAO's lease in Montreal expires in 2016. The offer was discussed when the ICAO met on April 22. "Minister Baird will fight tooth and nail to keep ICAO in its rightful home of Montreal," Baird's office wrote to CBC News earlier Thursday. "Minister Baird spoke to the prime minister of Qatar twice in the last week about this issue. He has contacted counterparts in other countries seeking their support. And he is working with representatives of the provincial and municipal governments as they, too, will have a role to play," his office added. "The way Qatar has gone about this demonstrates why it's not a suitable host for this United Nations organization," Baird said during question period Thursday, telling MPs he was on his way to Montreal to lead a team to "put aside politics" and mount a vigourous defence of the headquarters. Baird is scheduled to meet with the ICAO's secretary general, Raymond Benjamin, Montreal Mayor Michael Applebaum and Quebec's international relations minister, Jean-François Lisée, Friday morning at Montreal's city hall. Sixty per cent of the 191 member of the organization, or 115 countries, would need to vote in favour of the proposed move during ICAO next triennial meeting Sept. 24-Oct. 4. Because it is a specialized agency and not one that the UN funds, its board makes its decisions. ICAO spokesman Anthony Philbin told Reuters last week that to his knowledge, this is the first official request to move the permanent seat. Philbin told CBC News on Thursday that the Qatari bid included the construction of "new, state-of-the-art premises" and the covering all expenses related to construction and maintenance as well as the moving of staff. Once in Qatar, health benefits and educational fees for ICAO staff would be covered by the government. The bid reflects the deep pockets the oil-rich Gulf state has used to successfully bid for other international business and prestigious events, such as the 2022 World Cup. Philbin said that because of "significant political sensitivities" around the offer, and with the decision now in the hands of member countries, the secretary general of the ICAO would not be commenting publicly. The rationale for countries to back the move could include both business and political reasons. Quebec newspaper La Presse obtained Qatari briefing notes that suggested Montreal was too far from Europe and Asia and had cold winters. Canada made it hard for delegates to get visas, the report said, and Qatar argues Canadian taxes are too high. Workers' rights could also be a concern if the organization responsible for maintaining safety and employment standards for the aviation industry moved to Qatar. Earlier this week, the general secretary of the International Transport Workers Federation said the possible move "defies belief." "How can an organization that has to defend the rights and safety of workers and passengers be moved to a state whose citizens' pleas for democracy are answered with batons and buckshot?" said David Cockroft. "Emerging out of the poisonous cloud of allegations of corruption and vote-buying surrounding the World Cup decision, this could almost be an April Fool’s Day joke," added the international labour body's president, Paddy Crumlin, in an April 30 statement. "Can the Qatari government really expect to transplant a vital United Nations organization and its staff to a nation that is a byword for democratic deficit? "The UN cannot bend to the power of the Riyal at a time when ordinary Qataris' fights for rights are met with massive repression. It’s doubly outrageous when thousands of staff at Qatar Airways are denied the fundamental right to union membership enshrined by the UN," Crumlin said. The accepted standards of the UN's International Labour Organization, a sister body of the ICAO, don't apply in Gulf states, labour leaders warn. The general secretary of the International Trade Union Confederation (ITUC), Sharan Burrow, calls Qatar a "rights-free zone." ICAO has 534 employees based in Montreal. In addition, the foreign delegations based in the city and the business traffic it generates contributes to its value as a hub for Canada's aviation industry specifically and Montreal's economy generally. Its economic value in 2010-11 was estimated in a study by the SECOR Group last year at $120 million annually. The regional politics of the Middle East may also be part of the diplomatic fight that lies ahead for Baird. A report in The Globe and Mail Thursday links the votes of Arab countries in favour of moving the ICAO to an unhappiness with Canada's close ties to Israel and tough stance against the Palestinian Authority's moves towards recognition as its own state, a direction Canada strongly opposed at the UN last fall. During Parliament's Easter Break, Baird toured the Middle East extensively, meeting not only with his Israeli allies but also a variety of Arab leaders in an attempt to tend and mend fences. Canada boasted of diplomatic progress throughout the trip. For example, during his visit to Abu Dhabi, Baird attempted to show Canada had moved past a dispute over airline landing rights and visa requirements with the United Arab Emirates as he staged a friendly Tim Hortons coffee break with his U.A.E. counterpart. 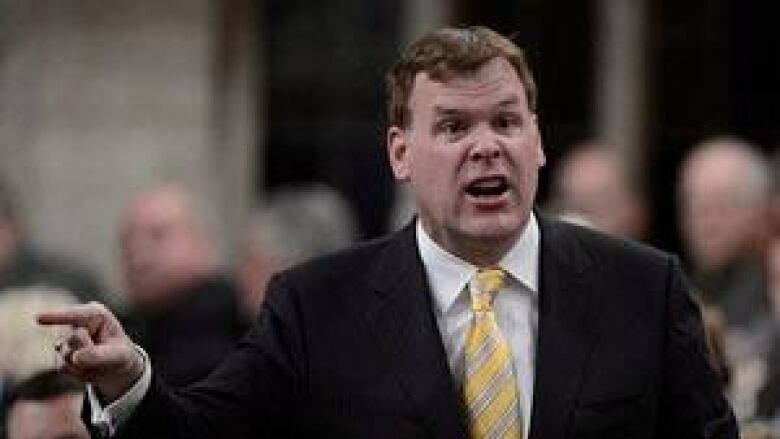 "I had a great visit to the Middle East," Baird said in the Commons Thursday. "We were warmly welcomed wherever we went." But another coffee he enjoyed in East Jerusalem at the office of former Israeli foreign minister Tzipi Livni has created a whole new diplomatic headache with Arab countries. Although Baird argued afterwards that it shouldn't matter where they met for coffee to discuss her new role as a peace negotiator with the Palestinians, venturing into East Jerusalem to meet an Israeli official was a symbolic slight in the eyes of the Palestinians and their allies. Palestinian officials summoned Canada's envoy to protest the meeting. The Globe and Mail report said the day after Qatar suggested moving the ICAO headquarters from Montreal, Arab ambassadors at the UN in New York used a meeting on Palestinian issues to lobby for votes against Canada. But the votes of Arab nations alone would not be enough to move the office to Doha. David Koschitzky, the chair of the Centre for Israel and Jewish Affairs, issued a media release Thursday calling the Qatari bid "entirely meaningless," because the governing council of the ICAO voted March 11 in favour of renewing of Montreal's lease through 2036. "This whole episode would be funny were it not so tragic," he says in the release. "Qatar's attack on Canada's principled foreign policy record is another sad example of Middle East dictators using the Palestinian cause as a symbol to advance their own interests." A former representative to the ICAO, speaking on background, said it's not certain many countries would back Qatar. Countries consider what life in Doha would be like for their envoys and families, and while Montreal's weather may not be ideal, neither is the treatment of women in Qatar, the source suggests. He isn't certain Canada's foreign policy would be a major consideration and influence votes. Security Council seat loss a precedent? Although the ICAO's board may have recommended a renewal with Montreal, the secretary general has not yet approved it. To win its bid to move the agency, Qatar would need to find sympathetic or like-minded views in other countries. A sour taste for Canada among UN member countries would not be unprecedented. In 2010, Canada failed to garner enough support to win a seat on the Security Council, which some attributed to the Harper government's shifts in foreign policy. Baird first said in 2011 and confirmed again this week that the Harper government would not campaign in the future to regain a seat on the influential body. Speaking to reporters after question period Wednesday, Liberal Leader Justin Trudeau, who represents a Montreal riding, linked the Security Council failure to the diplomatic challenge ahead for Canada as it fights to keep the ICAO office. "I am concerned about the level of disengagement from multilateral organizations that this government is pushing forward," Trudeau said, noting Canada's "traditionally and historically" strong international role. "There is something going very wrong with this government’s approach to international affairs," he said. "That's why the move by Qatar to steal or to woo away the important UN regulatory body that's established in Montreal on aviation is for me another example of the fact that this government is not serious about leadership in the world, which is something that is very important to many Canadians." "We are extremely concerned by the negligence and incompetence of Conservatives when it comes to defending the ICAO in Montreal. It is the only major headquarters of the United Nations [in Canada]," NDP Leader Tom Mulcair told reporters in French last week. "ICAO contributes an estimated $100 million annually to the city's economy. We can not afford the Conservative mismanagement," the NDP leader, who also represents a Montreal riding, said. "They do not stop attacking the UN. So it puts them in an awkward position to try to retain a UN agency," Mulcair said.